Surrounded by family, David Anderson died at the Hoffmann Hospice House on Saturday, April 6 in Bakersfield, California at the age of 89. Dave is survived by his wife Mary (Bebe); his twin sister Virginia (Sis); his children Kathleen and her husband Robert, Michael and his wife Carole, Jennifer and her husband Mike; his grandchildren Leslie, Joe, Nathan, Krissy, Kayley, Bill, Katie; his great-grandchildren Emily, Andy, Mica, Sidney, Connor, Colton, Maddie; his great-great grandchildren Mason and Braydon and numerous nieces and nephews. He is preceded in death by his daughter Julie and his brothers Elmer and Don. A memorial service will be held at 11:00 a.m. on Saturday, April 13 at the Congregational Church in Shafter. In lieu of flowers, please consider a donation to the Dave Anderson Athletic Scholarship Fund. Donation information will be announced via social media. Dave was born on November 22, 1929 in Bakersfield to Martin and Lucy Anderson. He graduated from Shafter High School and married Mary Frances Ohanneson of Shafter on June 20, 1951. He was drafted into the Army and was commissioned 2nd Lieutenant in May, 1952. He served in the 124th Ordinance Battalion of the 3rd Armored Division in Germany. As a Korean War veteran, he was invited to travel to Washington D.C. on an Honor Flight in the company of his son Michael in 2016. Professionally Dave drove a bus, pumped gas, packed groceries, fixed cars, farmed, owned an auto parts store and two sporting goods stores. When he retired in 1993 he became a painter, carpenter, landscaper, roofer and one man tree service. Dave loved his community. He was a president of the Shafter 20-30 Club, a Sub-District Governor, and a president of the Kern County Farming Bureau. He served on the County Committee on School Organization and the Board of Trustees for the Richland School District. He was a Senior Warden and Treasurer for St. Mark’s Episcopal Church and one of three Trustees on the Kern County Cemetery District Board for Shafter and Wasco. In 1994 he received the Shafter Chamber of Commerce community service award. He also loved to cook and serve drinks at the Historic Green Hotel. Dave was a sharp card player, an avid backpacker, and an outstanding athlete until the end of his life. He was a captain and outstanding player on the Shafter High School Basketball and Baseball teams and played Basketball for Bakersfield College. He received a silver glove in the Golden Glove Boxing Program. 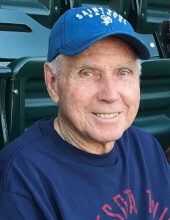 He managed the Shafter Merchants Baseball team and served as a president, treasure, and coach for both the junior and senior Babe Ruth Leagues. He worked tirelessly to enhance Kirschmann Park and directed various district and state baseball tournaments. He served as volunteer, coach, manager, sponsor, organizer and grounds keeper for Shafter youth baseball programs for 41 years. Dave played basketball with multiple generations well into his 80’s. One life highlight was playing in a state basketball tournament which required each team to have a player over 55. Dave was 68. He touched the lives of so many across generations and communities. He will be missed. To send flowers or a remembrance gift to the family of David Anderson, please visit our Tribute Store. "Email Address" would like to share the life celebration of David Anderson. Click on the "link" to go to share a favorite memory or leave a condolence message for the family.